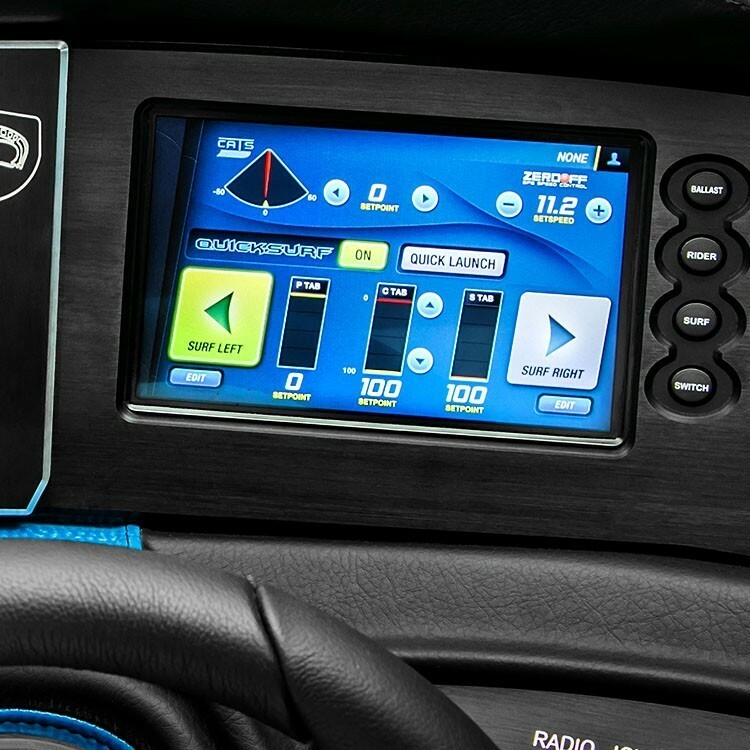 The QuickSurf Pro System allows you to dial in a world-class surf wave on each side of the boat and change from side to side in just seconds. It is composed of a set of uniquely shaped wake plates which sit at the back of the boat on either side of the center wing plate. These plates deploy downward and, with the help of the Surftech V Hull, slightly list and crab the boat to either side to clean up the surf wave. 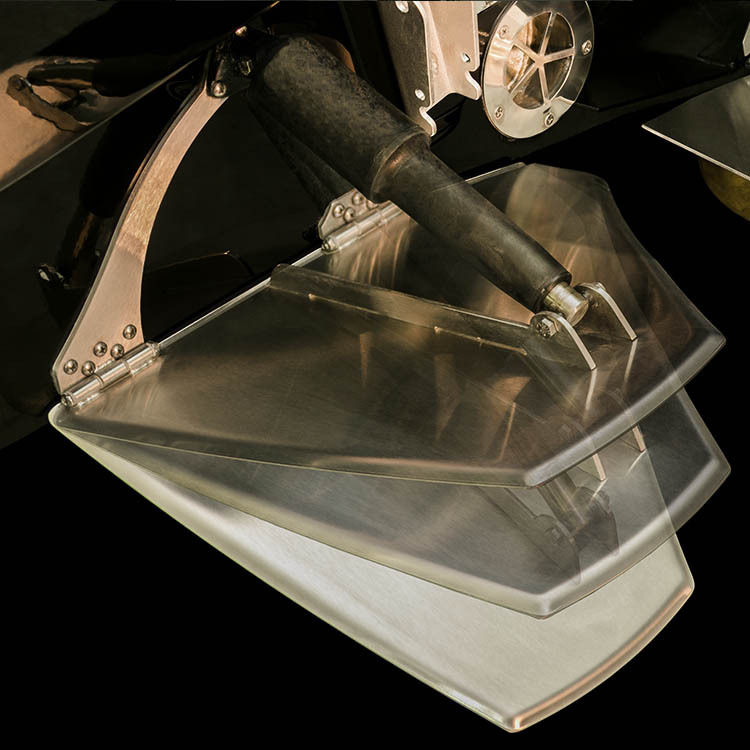 Unlike most other surf systems, the Quicksurf plates are specifically engineered to each hull, with different plate shapes for each boat model and hull shape. Since each hull displaces water differently, each set of plates is tuned to provide the best possible surf wave on either side of the boat. 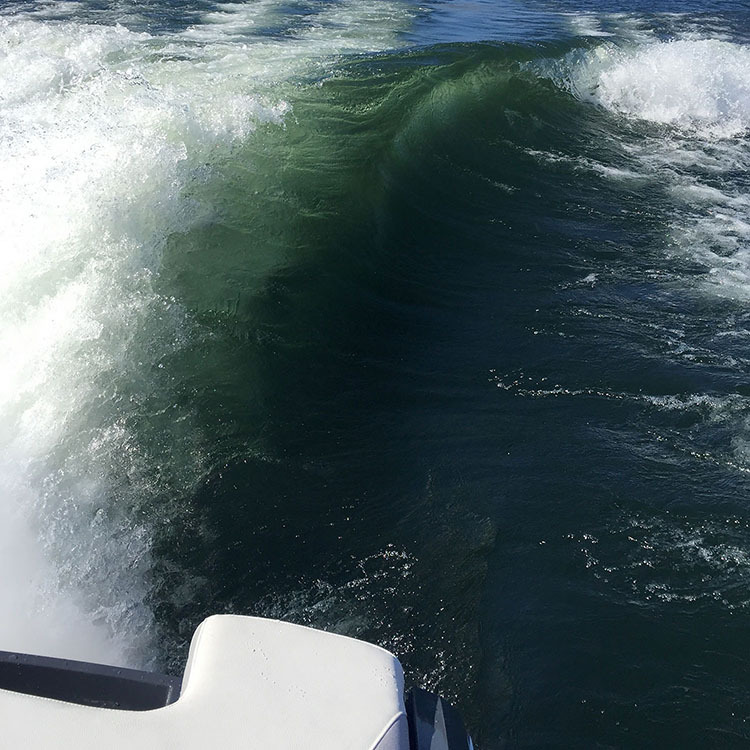 The QuickSurf Pro System allows you to run even ballast on both sides without having to list your boat to the side, creating an even platform for the surfer and delivering a more comfortable ride for passengers – who no longer have to feel like they’re going to slip down the side of the boat. For those who prefer to surf while listed, QuickSurf Pro allows you to run more total ballast – giving your wave more power and volume than running your boat without it. QuickSurf Pro brings a whole new dimension to wakesurfing with the ability to transfer from one side of the wake to the other while riding. Engage Quicksurf and go from surfing on one side of the boat to the other in seconds, immediately cleaning up a world class wave to catch you on the down slope. No more waiting time between rider changes, ever. The QuickSurf Pro System goes way beyond just a typical ON/OFF button. Your plates can engage in 5% increments from 0-100% – letting you customize the shape of the surf wave. 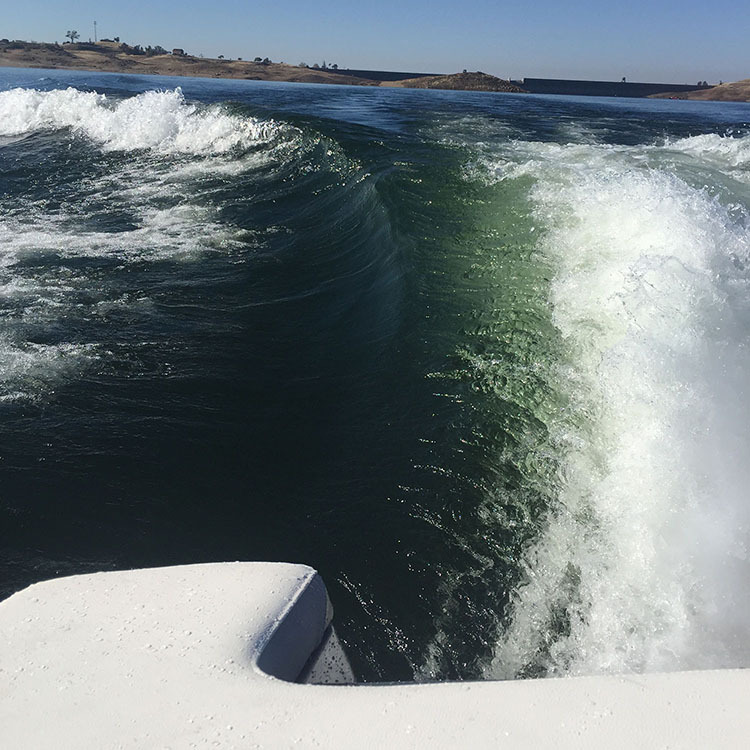 Because most “wakesurf” boats on the market have a hull designed for wakeboarding and not surfing, the surf systems on these boats are designed to slow or “brake” one side of the boat and deflect water to the other side. This method helps clean up the surf wave, but it also creates a lot of drag, consuming a great amount of fuel and creating strain on the engine. The QuickSurf System is completely different. Starting with a hull designed specifically for wakesurfing, there is no need for the QuickSurf System to “sink” one side of the boat or create additional drag. 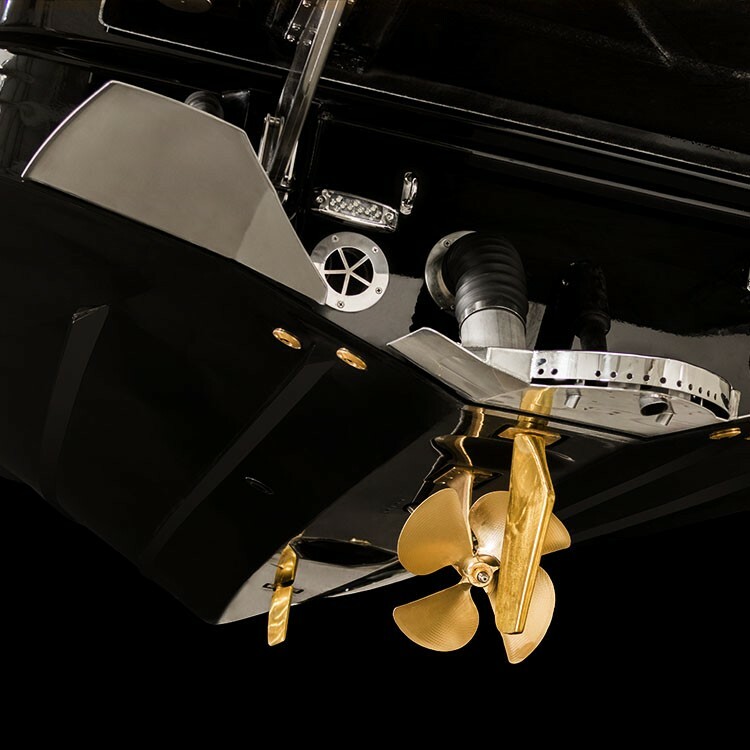 Taking it a step further, the QuickSurf System actually reduces drag on the boat when engaged, increasing fuel economy and allowing you to run more ballast with less power. New Centurion Boats have an added Quick Launch setting that deploys both side plates simultaneously when taking off – lifting the boat onto plane much faster while ballasted. 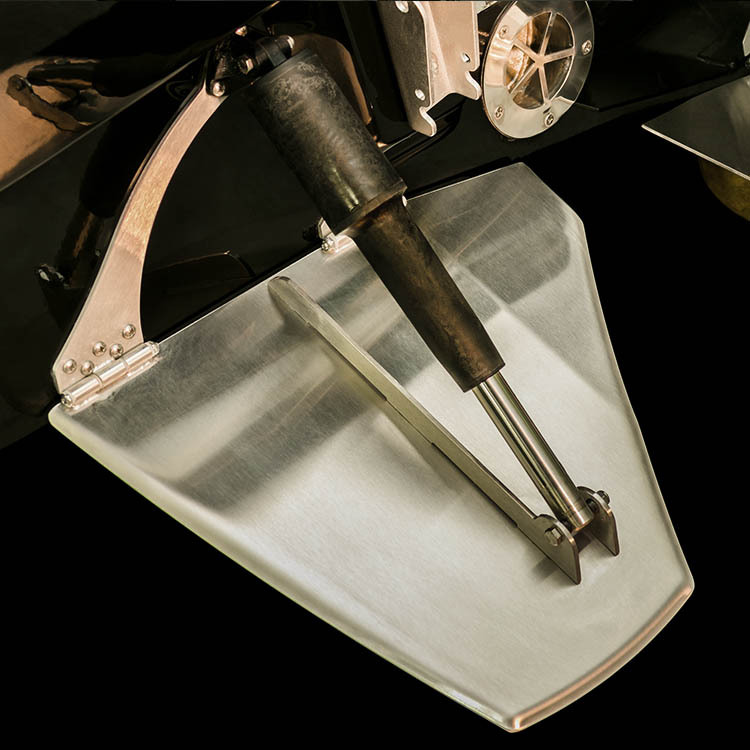 The plates automatically retract when wakeboarding, letting you plane out with more ballast and providing significantly improved fuel efficiency.